Discussion in 'ELSWORD Online Market' started by Shinjeki, Sep 15, 2018. NO B/O OR C/O FOR ALL OF MY ITEMS. JUST OFFER. IM JUST TAKING WHATEVER. SINCE IM QUITTING. BUT OFFER NEEDS TO BE REASONABLE IN ABLE FOR ME TO TAKE IT. BUYER MUST PROVIDE SEAL OR HANGER IF NEEDED. 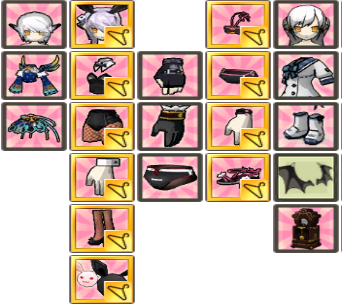 ALL OF THE IM ITEMS HAS 1 SEAL COUNT, SO DONT ASK ME IF THE ITEM IS STILL TRADABLE. IF U NEED TO SEE WHAT IT LOOKS LIKE OR THE NAME OF THE ITEM THAT INTEREST YOU JUST ADD ME ON DISCORD SO I CAN SHOW IT TO U. NOW ACCEPTING TRADE FOR AISHA'S IB'S/IM ETC! 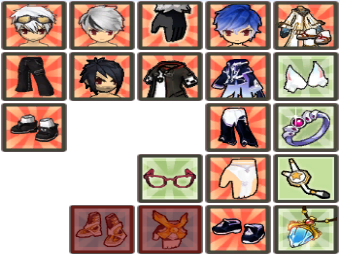 Im too lazy to edit but i have sold the Luto Costume Suit Elsword and HDY Top and Bottom Eve Ty Guys!